How to Recover Deleted Call Logs/History from Android Free? 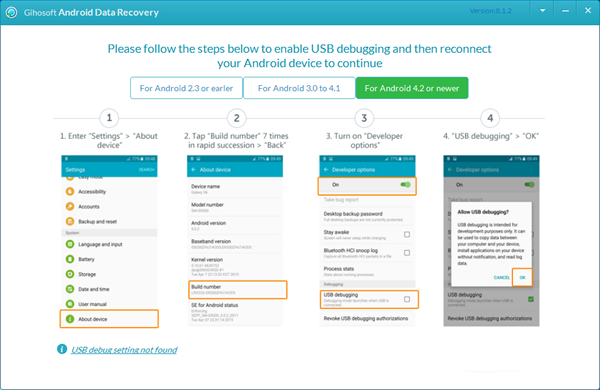 Home > Android Recovery > How to Recover Deleted Call Logs/History from Android Phone for Free? “A person who has cooperation intention called me but I missed. To make matters worse, I removed it mistakenly thought it was a crank call. So is there any way to recover deleted call history from Android phone (Google Nexus 6P)?” Asked by Samuel. How to recover deleted call logs on Android? If there is no backup of your Android data, then you have to ask help from third-party tools to get the lost call logs back. Choose Gihosoft Free Android Data Recovery is to choose an easy and safe solution for recovering deleted call history from Android devices, including but not limited to Samsung, HTC, Google, LG, Sony, Moto, OnePlus, Huawei and etc. 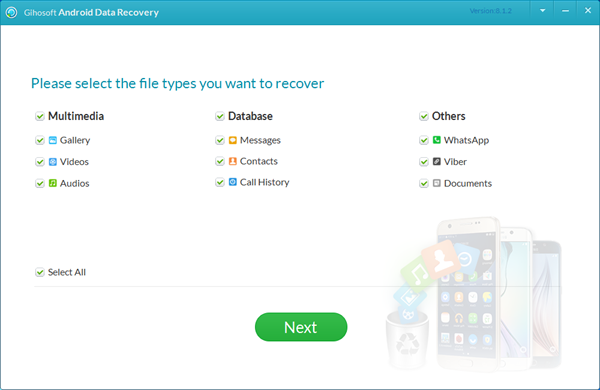 What’s more powerful, it can recover deleted contacts from Android, as well as more file types like text messages, photos, videos, music, WhatsApp & Viber chats, etc. Stop saving new data to your Android smartphone. The deleted call records are still on your phone’s internal memory. But if you save new data to the memory, the deleted or lost call history will disappear eternally. No tool in the world can recover files which have already been overwritten. Choose a professional recovery program to help you. 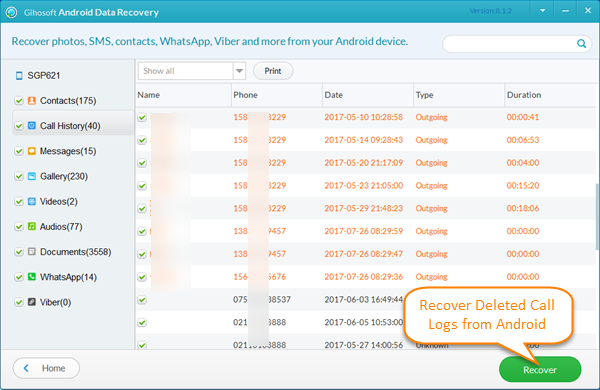 A safe, clean and powerful data recovery tool which is with technical support can help you recover call logs/history from Android easily and safely. How to Recover Call History on Android with Gihosoft Free Android Recovery? 1. Install and run Gihosoft Android Recovery freeware on the computer. If you only need to get back deleted call log, please choose “Call History”. 2. Enable USB debugging on your Android (like the picture below) and connect your device to the computer via USB. Then your device will be asked to allow USB debugging, tap “OK” on the pop-up. The program will identify your device. 3. Click “Start” and the program will scan and analyze data on Android. During the process, please keep the Android device and PC connected all the time. When the scan is finished, you will be able to preview the lost call history. 4. Preview the scan result. Check out the call logs, then click “Recover” button. A pop up will appear which allows you to choose a folder for saving the recovered file. Save the file and you will be able to view your lost data. Note: All the recovered Android call records will be listed with details, like a contact name and phone number, in three formats: CSV, XML, and HTML (easy for reading and printing). Lost text messages on your Android? This freeware can recover deleted text messages on Android, too. All the operations during the recovery won’t record your private information or upload your data to the internet. You can get your data back safely and securely.